Gather the family for a beach break near the mountains! Situated five minutes walk from your garden is the beautiful Llandanwg beach with its stunning panoramic views of the sea and Lleyn Peninsula, and the mountains of Snowdonia dominating the northern and eastern skyline - a wonderful setting for children to build sandcastles, explore the rockpools, fly a kite and finish with an ice-cream from the Y Maes beach cafe. Llandanwg is an ideal base for walkers, with beautiful routes in the hills, valleys and also the Wales Coastal Path. Cycle trails run through the hills behind. 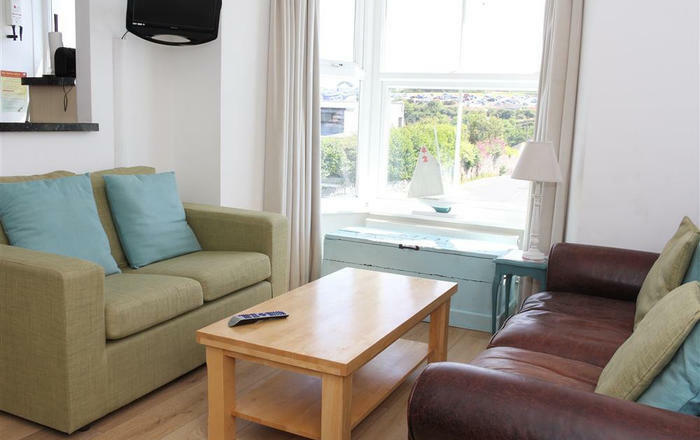 This seaside house is conveniently located close to the amenities of Harlech (2 miles), a town famous for its majestic castle, which also boasts Royal St. David's golf course, public swimming, long sandy beach and a variety of good quality restaurants. Barmouth (10 miles) is popular because of its seaside location and mountainous views, crabbing off the harbour, funfair and good selection of places to eat. Also Porthmadog (10 miles) offers steam train rides through Snowdonia, Portmeirion village and unique shops. N.B. 'Bont Briwet' is now open for a quick journey to Porthmadog (July, 2015). 4 BEDROOMS: 1 Kingsize with en-suite shower room/WC, 1 bedroom with a Double bed, 1 bedroom with two Single beds, a Single bedroom is available on the 1st floor. Bed linen included, please bring your own towels. Cot available. SHOWERROOM/WC: Spacious shower cubicle & WC. 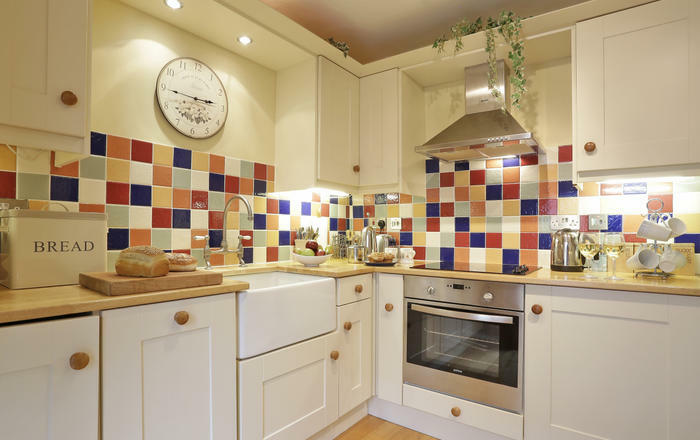 KITCHEN: Large attractive kitchen/breakfast room with refectory dining table with 6 seats, induction hob, microwave, fridge/freezer, dishwasher. UTILITY ROOM/WC: Washing machine, door to patio area, sink and hooks to dry wet clothes. LOUNGE: Attractive wood floor, attractive fire place with real flame effect log burner, 37" large flatscreen TV with Freeview & DVD, with sliding doors to patio area- perfect for an alfresco meal on a summer night. PARKING: Ample parking for at least 3 cars. GARDEN: Large enclosed grounds to the front of the property. Patio area with views towards the Cambrian coast and Lleyn Peninsula, seating available. ELECTRICITY and CENTRAL HEATING all included. SORRY, NO PETS under any circumstances. 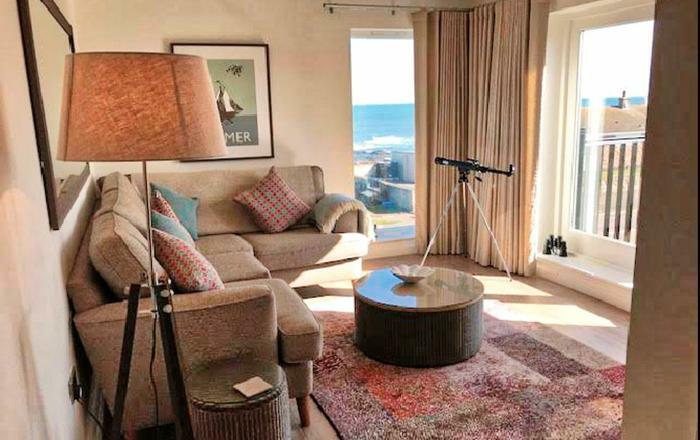 EXTRA: This beach house is a bungalow however it does have a set of 3 steps from the entrance hall to the living room, therefore not suitable for wheelchair users. EXTRA: 4 bedrooms, however only space for 6 around the dining table. To book the 4th bedroom or 7th person please call us to make arrangements. Extra charge of £50 per week or part week. 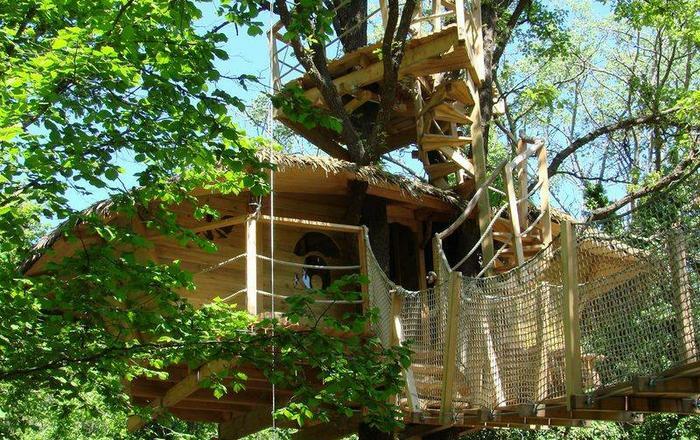 Mini-break rules at this cottage: This cottage does not allow mini-break any time of the year. 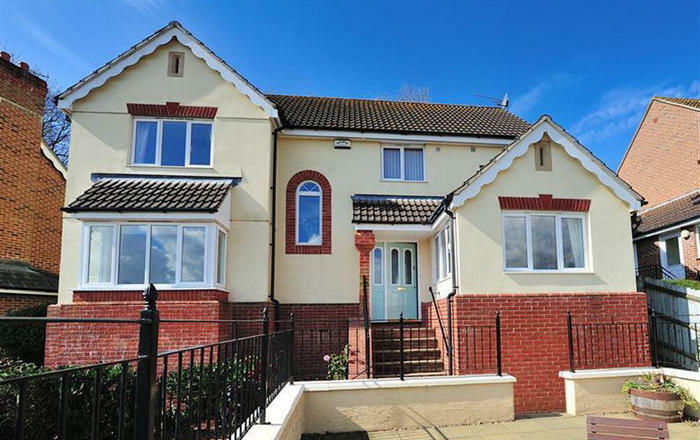 "A substantial and attractive property within walking distance of the beach. Large front garden and plenty of parking. At the rear a lovely patio with seating. A very comfortable house in an ideal location." D& M (October 2017): "Just wanted to say that my Mum and I had an absolutely brilliant week, and can hardly believe we have already been back home a week! The house was just superb; homely, clean, comfortable and brilliant to relax in and watch the sea! We most definitely would like to return some time. We will also not hesitate to look at your brochure for other properties when we want to stay in that are if 4015 is booked!" B Family (June, 2013): "Wow what a house, the view, the beach and great weather, perfect thank you for having us." K & N (July, 2013): "Lovely house. Beautiful re-furb, very impressed! Thanks for the welcome pack - we enjoyed the treats." M Family (July, 2013): "Wonderful house, super views, had a great holiday. Hopefully coming back next year." 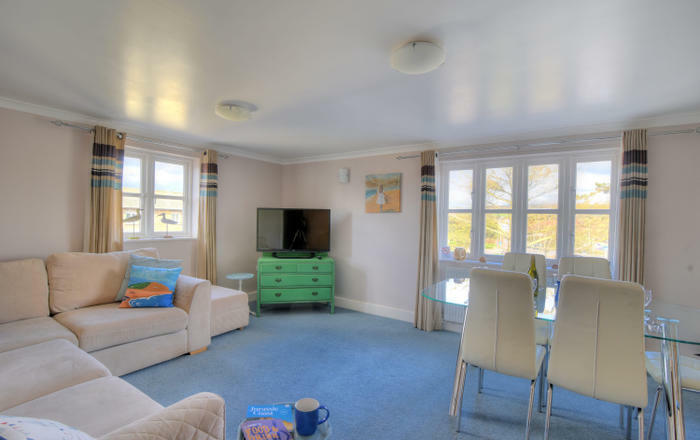 B Family (August, 2013): "The place is amazing- very comfy beds, awsome views, and a lovely little walk to the beach. Enjoyed it very much. Perfect for all our family including our little ones!" 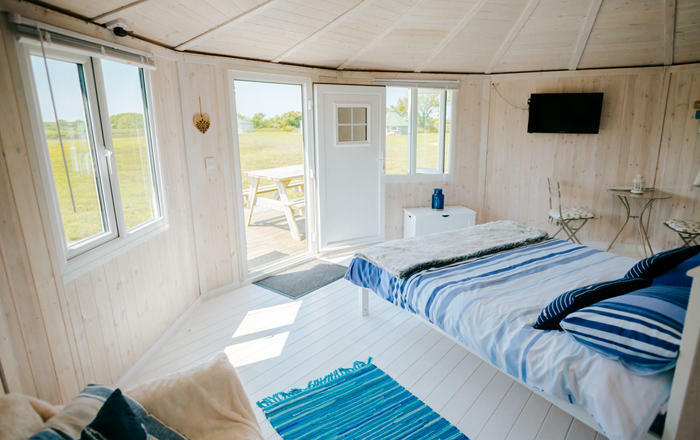 J Family (August, 2013): "This is probably the most comfortable and best thought out holiday property we have stayed in." H Family (August, 2013): "Lovely home in a stunning setting. We had a great holiday. Thank you. P.S. Thank you for the Carribean Restaurant recomendation." P & S (September, 2013): "Had a great week in this lovely house. Lots of scenic walks straight from the house. Had a very busy week but still lots we didn't do." P, T, P (October, 2013): "A beautiful house in a beautiful setting. Stylish furnishings very enjoyed. Lovely walks on the beach & peace sitting listening to the sea."